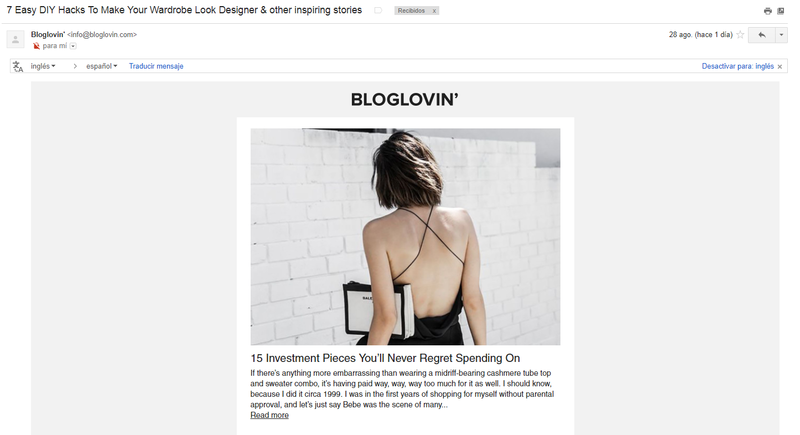 A bulk email campaign starts with a powerful subject. There are a number of examples of email subjects that are very effective in convincing the user to open the message and, in turn read its content. A good subject is one that delivers on the promise of what its actually selling, one that doesn´t lie to the user and is clear about the information they will find in the message. It must be short, direct and powerful, as the rest of the email will only succeed if the subject is good. It can be seen as the key that unlocks the message to the client. For music lovers, this subject line from Spotify offers a unique opportunity. 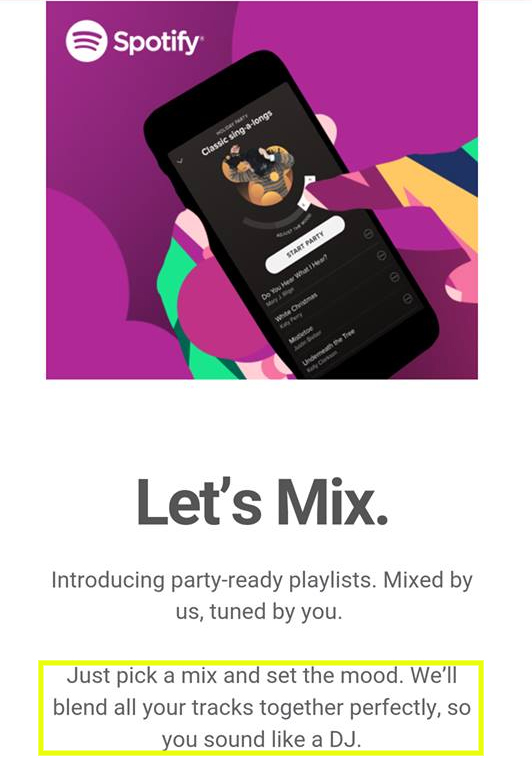 It is a way of inviting users to share Spotify in order to make them feel powerful and explore all the options that the platform gives them to make them feel like a DJ. The potential of the Spotify email is that it offers a promise. It plays to the aspirations and wishes of clients, so that the audience receives it better. Messages that refer directly to the customers’ wants and desires are more successful, because even though humans are rational creatures, they are moved by emotions and instincts. Questions are usually very successful. Asking a question is a good way of attracting clients, if they don`t know the answer their curiosity will prompt them to open the message and find out. In the case of Canva, the question posed is a way of opening up their service, to get to know what they offer, and discover the potential of the platform. The question helps draw the user to the message and explore a tool that was previously unknown to them. These kinds of offers are excellent for attracting customers. 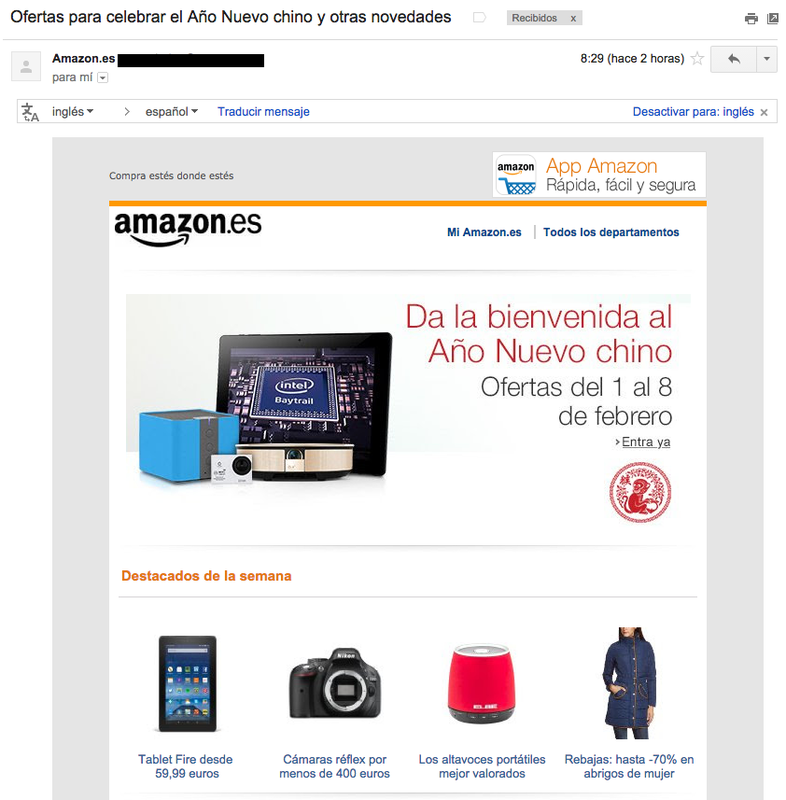 In Amazon’s case they do not need to refer to the discounts that their clients can get, but instead refer to limited time offers. Chinese New Year doesn’t last forever, so the offer is limited and finite, which creates a sense of urgency in the customer and strong desire to open the message. Unlike Amazon, ALSA bases its offers on a figure. In the same way that urgency leads a person to open the message, the size of the discount you can get is also another good reason to click on it. The size of the discount helps the user to have an idea about how much money they can get off, and so that it influences their purchase. 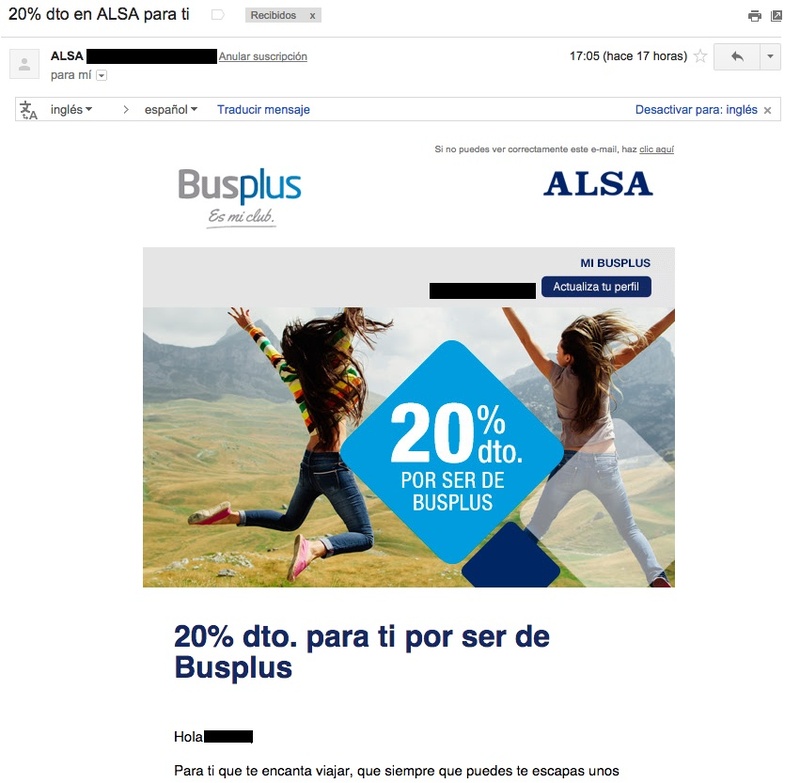 In addition to the discount, this subject message from ALSA, the transport company, also works because it is addressed solely and exclusively to you. This exclusivity, along with making the user feel unique and important is a useful way of attracting clients to your brand. People love making lists; they’re obsessed with them! I bet you have opened more digital news that has started with “Top 10…” than any relating to science, politics or economics! That’s because a list is a quick way of introducing a subject and offers brief but intense information on it. 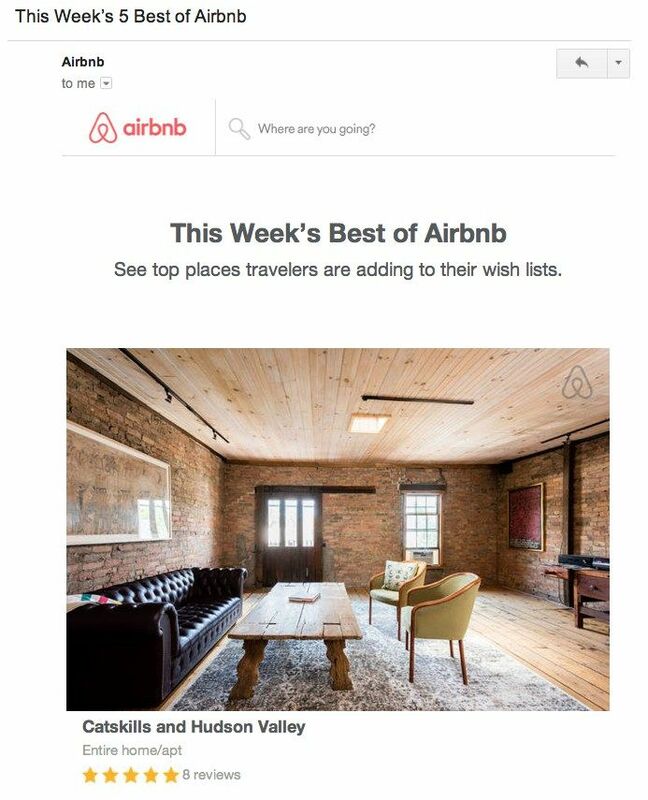 Airbnb ensures that the clients who receive their message want to know about the best accommodation available that week, even if it’s just out of curiosity. Feeding that curious nature is perfect. 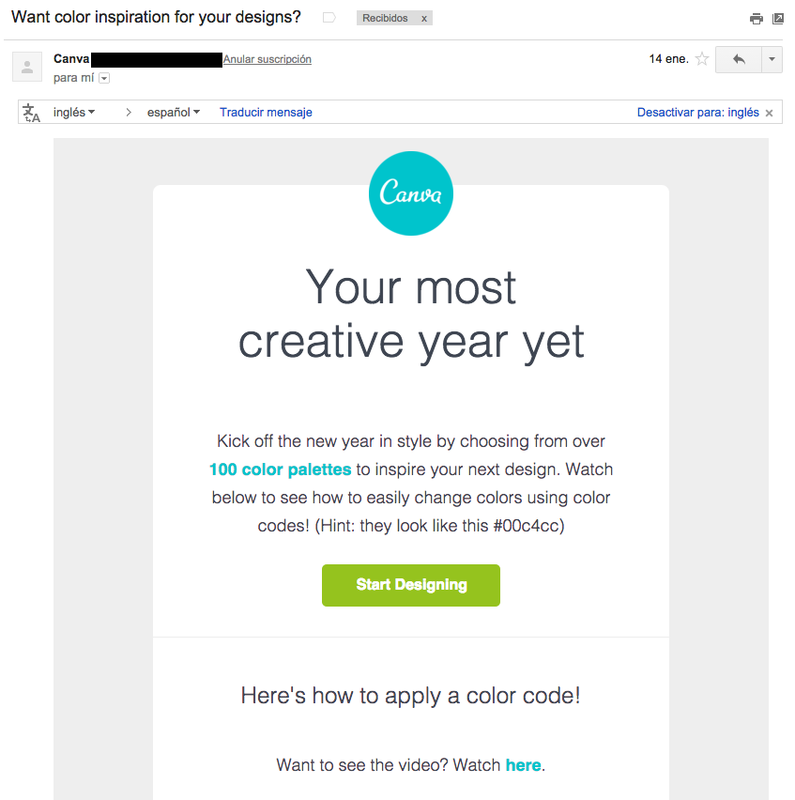 Designing your emails with MDirector will give you the best possible results. It also gives you control over everything from the subject, the text, the design and the mailing. Everything is much easier with MDirector.